As with any vision aiding equipment you have to make sure you take care of it. This does not mean an occasionally wipe of the lenses on your glasses, or a monthly soak in cleaning solution for your contact lenses. You have to add time into your daily care routine to look after your vision aids. Contact lenses are the most time-consuming to take care of but once it becomes a routine, it will become habit and you will not think twice about it. Yes, it is troublesome but once you get into a routine of doing it, it will become habit and you will not think twice about it. But is not just the cleaning you have to worry about. With contact lenses you also have to make sure you are using them properly. This way they will last longer and will give optimum performance for your eyes. The first step is to obviously acquire your contact lenses through your optician. You also have to make sure that you are not allergic to any of the materials in the lenses. Your eye specialist will take you through all this by re-testing your eyes for prescription, and giving you samples of lenses made from different materials. You will soon know which is right for you. 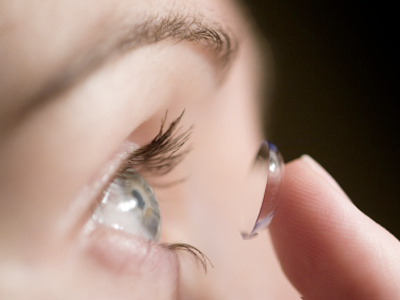 Once you have your lenses, make sure you know how to correctly put your contacts in and out. So often people have not asked how this should be done and have devised their own way that could cause damage to the lens and your eye. The key is to make sure your hands are thoroughly clean, then take the lens out of its case making sure you know which is right and which is left. Put your lens on your index finger and steadily place the lens on your eye, while the other hand is lifting up your eyelid. After you should always have a gentle blink to get the fluids flowing. Once you have mastered this then you will be sensibly looking after your contact lenses. Finally you should only wear them for as long as stated. When it comes to monthly contact lenses, only wear for a month, with daily ones you should definitely only wear them for the day. By adhering to these rules your lenses will last and will provide you with the vision you require.